Marriott International, Inc. is a leading global operator of hotels and related facilities. It was founded in 1927 by J. Willard and Alice Marriott. It’s headquartered in Bethesda, Maryland, US. The company has a 30 brand portfolio, which are all positioned in the luxury and mid-market price segments. Marriott’s overall lodging system encompassed Marriott’s lodging system encompassed 6,520 properties and timeshare resorts with nearly 1,258,000 rooms as of January 2018. Marriott had approximately 177,000 employees as of December 2107. 1.Top position in competitive landscape:Marriott International is the largest hotel company in the world in terms of value sales worldwide (Marriott has value sales close to USD50 billion). It has the largest number of rooms globally. The number of hotels that fall in the portfolio of upscale category and above are the also the highest for Marriott International. With an overall capacity of 1,160,000 rooms (Hilton is second with 792,000) it is best positioned to take advantage of the growing demand for luxury accommodations. It also has the best global market share of 11% in top 100 revpar market tracts (second is Hilton with 5.5%). Global fee for Marriott international is $2700 per room which is the most for any hotel. In terms of global market share of current system size and signed STR pipeline (rooms), it occupies a leading share in North America, Europe, Asia Pacific, Caribbean, Latin America, Middle East and Africa. Worldwide it has an 8.3% market share, ahead of Hilton having a 5.9% market share. 2.Ubiquitous luxury brands and presence across the world: Ritz Carlton and JW Marriott are strong luxury brands with a loyal customer base. Due to Starwood acquisition, popular luxury hotels such as W Hotels and St Regis are now also under Marriott International. It also has presence in 127 countries and 6500 properties under its umbrella. Acquisition of Starwood has also helped Marriott to tap into the Asia Pacific market (Starwood is strong in that region) which should remain a key target for expansion. 3.M&A deals driving strategic advantages: Starwood acquisition has provided Marriott International with opportunity to scale and reduce costs. The benefits of acquisition are in the form of cost synergies and penetration into the Chinese market. In terms of value sales worldwide, Marriott International is the largest company for the last 10 years. Acquisition of Starwood has strengthened Marriott’s position on the top spot considerably. 3 tier collection brand portfolio (of Starwood: ‘The Luxury collection’, Tribute Portfolio’ and ‘The Autograph Collection Hotels’) provides full range of options based on the market and product. 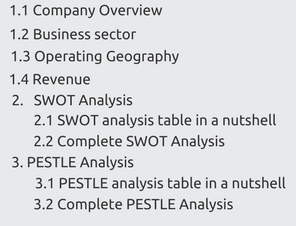 Most of the Starwood brands have a strong pipeline and are scalable with low cost to build. All these hotels can leverage Marriott’s marketing channels and powerful distribution to reduce operating costs and increase revenue. Marriott’s acquisition over the years has helped the company gain traction in unpenetrated markets. Acquisition of AC hotels in March 2011 increased Marriott’s presence by 24% in Europe. Gaylord Hotels acquisition in October 2012 extended Marriott’s lead in the convention hotel segment. Proteas Hotels acquisition in April 2014 made Marriott the largest hotel company in Africa. Delta hotels, acquired in February 2015, made Marriott the largest full service lodging company in Canada. 4.Proactive and innovative: Marriott international is one of the top ranked most innovative companies as per Forbes and Fast Company. Its operational philosophy is centred on innovation. Most of its procedures and systems try to integrate commitment and innovation thus ensuring total value for money for the customer. Marriott’s spending on technological innovations such as IOT, testing Amazon Alexa in a number of properties to improve guest experience through voice, immediately grasping on opportunities in the segment of activity market; is a testimony to always staying proactive and innovative and trying to find new ways to increase customer experience and driving growth in the sector. 1.Impact of terrorism on tourism: Tourism in 2016 suffered because of continued terrorism and impacts on sentiment, in spite of cheap air travel, low level of oil prices and a number of countries adopting more visitor-friendly visa policies. In Europe, tourism spending decreased in France, Belgium and Turkey. Inbound visitor spending decreased in Egypt after weakness in 2015, with international tourist arrivals over 60% below the 2008 peak level. As Travel & Tourism sectors in these countries suffered, several other destinations have profited as these being seen as ‘safe haven’ substitute destinations. These destinations include Bulgaria, Cyprus, Malta, Portugal and Spain. 2.Increase in consumer spending and experiential travel: In 2018, the consumer spending on hotels is expected to increase at 5% as per Technomic. The consumer spending is expected to increase in the luxury segment. As per Deloitte travel hospitality industry outlook, spending on tourism in the US hit a record of $353 billion in 2017 and a strong 5% growth is forecasted for 2018. Other factors such as low unemployment, robust stock markets have contributed to elevate consumer confidence. Historical personal consumption expenditure (PCE) data reveals that consumer spending on durables, clothing & apparels have decreased, with an increase in experiential spending on recreation, travel and eating out. All these factors are demand signals for the hospitality industry and testimony to growing opportunity that exists in this segment. Marriott with its huge capacity and strong presence in US is well positioned to take advantage of these trends. 3.Varied regional demand for lodging and experiences: This is true and evident from success of companies like Airbnb, a major competitor of Marriott International. When it comes to tourism, it is no longer only about luxury but also about cultural immersion. Business travellers’ requirements for lodging are different from leisure travellers and for family travellers. Similarly millennial (those aged 18-34) look for a much more understanding of the culture and people in the region. These travellers also act as influencers for other people looking to travel to new location for spending their vacation. With millennials expected to represent 50% of travellers to the United States by 2025, a major challenge lies in front of Marriott international to cater to this group. 4.Activities segment enhancing the guest experience: Activity market, which includes everything from tours to bike rentals, is a growing segment in the hospitality industry and is a business which is not controlled by any individual company or entity. Travelers can be connected to what they already want to do, such as a sporting event or a theme park, or to entirely new experiences they do not know about, activities unique to a particular destination (local area and culture). A huge opportunity lies in this multi-billion dollar segment (activity market) of the hospitality industry, for capturing travelers’ attention and money by providing a differentiated experience. This is a sought after segment by many hotels, individual properties, OTAs and other third party companies. Marriott International has decided to capitalize on this growing trend and integrated their activities and tour segments into their reward programs. Avendra LLC Hotels 2017 Divestment The proceeds from the divestiture would be used to develop other properties and system of hotels. 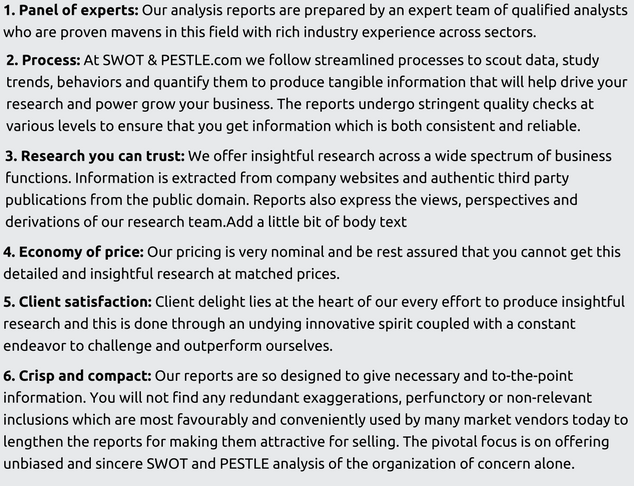 Marriott SWOT and PESTLE analysis has been conducted by Vaneet Verma and reviewed by senior analysts from Barakaat Consulting. 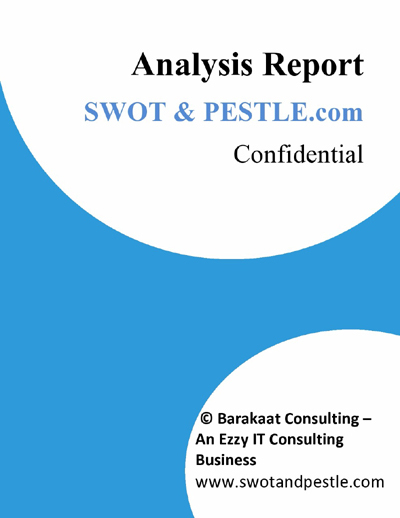 Copyright of Marriott SWOT and PESTLE Analysis is the property of Barakaat Consulting. Please refer to the Terms and Conditions and Disclaimer for usage guidelines.